This year, Apple shareholder Tony Maldonado submitted a proposal asking the company to increase the diversity of senior management and its board of directors. The results of the proposal will be revealed Tuesday, but it’s not looking good. “In reality it’s not gonna pass because Apple is not behind,” said Maldonado in a phone interview with International Business Times . However, he does think the proposal will meet its six percent threshold to allow for another submission in 2018. Maldonado has been after Apple over diversity since 2015. Last year, his proposal received 5.1 percent in support, past the 3 percent threshold. It all started when he was looking into potential careers for his son, who noticed Apple wasn’t so diverse, especially among senior leadership at the company. At the Annual General Meeting in 2015, Maldonado brought up the lack of diversity and said Apple CEO Tim Cook “got very defensive” and claimed that it wasn’t exactly true. Cook then told two black people on their leadership to stand up in front of the crowd, trying to prove that senior management was diverse. Apple also directs everyone to look at its website, Maldonado said, adding that “Apple puts up a beautiful website with flowery talk,” to calm things down with investors who are then satisfied. The page called Inclusion & Diversity has profiles of minorities working at Apple. However, the page shows 56 percent of the company’s workforce is white. 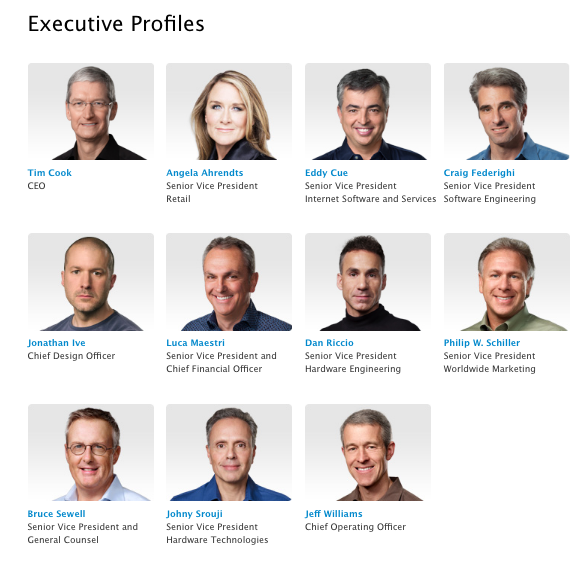 The leadership at Apple is mostly white and male, with only one woman, Senior Vice President Retail Angela Ahrendts, and one minority, Senior Vice President Internet Software and Service Eddy Cue, who is Cuban-American. Maldonado said despite Apple's public actions politically, internally it's a far different story. In response to the proposal, Apple released a statement pointing to the diversity website. Apple also listed initiatives promoting diversity, including the company’s work with President Barack Obama’s ConnectED initiative, which donates Apple products to students and teachers at underserved schools made up of mostly minorities. The company also referenced its work with the National Center for Women & Information Technology and its partnership with the Thurgood Marshall College Fund, which helps students from historically black colleges and universities who are pursuing careers in the technology. Maldonado’s proposal comes amid an OpenMic report detailing the striking lack of diversity in Silicon Valley and beyond.. Although tech leaders rallied against President Donald Trump last month after the travel ban executive order, the report found African-Americans, Latinos and Native Americans are underrepresented in the tech industry by 16 to 18 percentage points compared to the overall U.S. workforce. The report backed up Maldonado’s claims on non-white individuals being widely excluded from tech executive level positions. Minorities are less likely to get promoted and are paid less than their white counterparts, the report shows. As of now, only two percent of executives in the tech industry are black and three percent are Latino. There is also a lack of hiring among blacks and latinos. Black people and Hispanics earn nearly 18 percent of computer science degrees, yet they only hold five percent of tech jobs. Minorities were paid less than whites for the same tech job, a 2014 analysis by the American Institute for Economic Research found, with the gap substantially increasing when it comes to women of color. 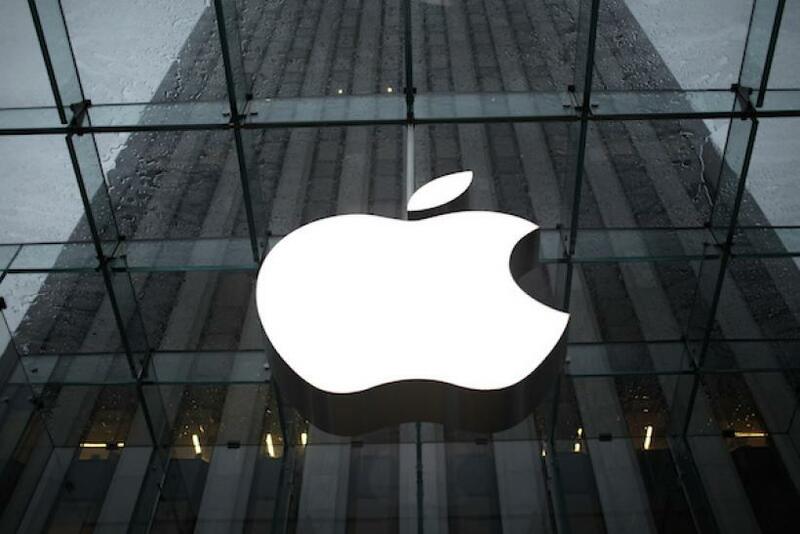 Apple has stopped communications with Maldonado after his persistence over diversity. He thinks it’s up to investors to make a change. “Unless investors pressure, Apple is not going to change,” said Maldonado, adding that shareholders and institutional investors are in favor of his proposal. However, there are two obstacles, the Institutional Shareholder Services and Glass Lewis, which recommend decisions to other shareholders. Both the ISS and Glass Lewis go by data analysis and then make their decisions on voting for or against a proposal, with others going with their recommendation. If Maldonado’s proposal is approved, it would require Apple to make diversity a priority when hiring at the top levels of the company. “If they’re qualified they should be able to go through that door,” said Maldonado. However, Maldonado said it could take years to see diversity in the company, pointing out that it took it took decades to appoint a Hispanic in Apple’s senior leadership. Maldonado who considers himself an Apple fan, said the lack of diversity could have an effect on the company in the future. He said it could be a “crisis” for Apple if minorities think they can’t work for the company when looking at the lack of diversity, leading the company to miss out on potential talent. It could also have an effect on consumers who could take their money to buy products at more diverse companies.